Cydia Unlocks: Cydia Unlocks - What is Cydia? Cydia Unlocks - What is Cydia? Hey friends! Welcome to Cydia Unlocks. Its my new blog on my interest. Here I will share with you some crazy things that you will ever do with your iphone. And the biggest among them is installing Cydia. So, I will start with Cydia itself. Lets move and explore the best of our iphones! Cydia is a software application for jailbroken iOS platforms of Apple devices. In other words you can install Cydia on your iphone, ipad or ipod touches and download premium apps and games for free. New iphone users might get confused about Cydia How it works? How to install it? Is it safe? There are allot of questions. Lets discuss them here. Cydia is a very simple app and works just like the Apple's App store. Normally if you need any app and you want to install it you to go Apple's app store and download it from there paying the amount if its not free. While with Cydia you will do the same but with no or very less money paid. Consider Apple's app store a shopping mall on your iphone. If you need anything you will go to the mall and purchase it. And after installing Cydia you have another mall. You can go to any of the mall and purchase the thing you like. And you will be surprised to see the utility of the latter. Man behind Cydia is Jay Freeman. He has his own information technology company named SaurikIT. 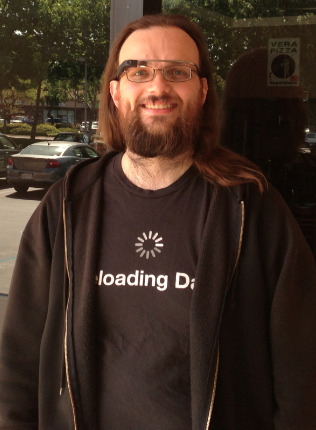 "Saurik" is another popular name of Jay Freeman. You can visit SaurikIT's official Cydia page. Cydia is derived from a scientific word pomonella which means "worm in the apple". After the release of Cydia in February 2008 as an open source it began to spread rapidly. Cydia was free to download and was first built for iPhone OS 1.1. In August 2009 Saurik claimed that Cydia was installed by more than 4 million iPhone users and it captures around 10% population of all iphone users. This was the drastic spread of this utility. Around the year 2011 SaurikIT reported a total revenue of $10 million and a profit of $250,000. After that Cydia kept on improving and new updates were released regularly with bug fixes the latest being Cydia 1.1.16 released on November 5, 2014. One thing is you have to do is jailbreak your iOS device. Jail breaking is nothing but the steps and changes you have to make to your iOS device for installing Cydia. Although Jail breaking is legal according to US government laws Apple does not encourages it for the sake of competition. When you download any app from the Cydia store you have to check for the publisher yourself. Always download apps from trusted sources (repositories). Other than this you don't have to care for anything. Cydia is the best thing that ever happened to them is what some iphone users say.